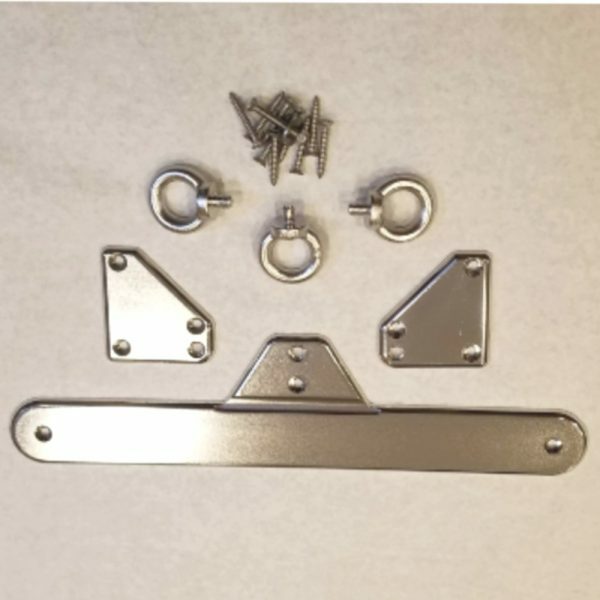 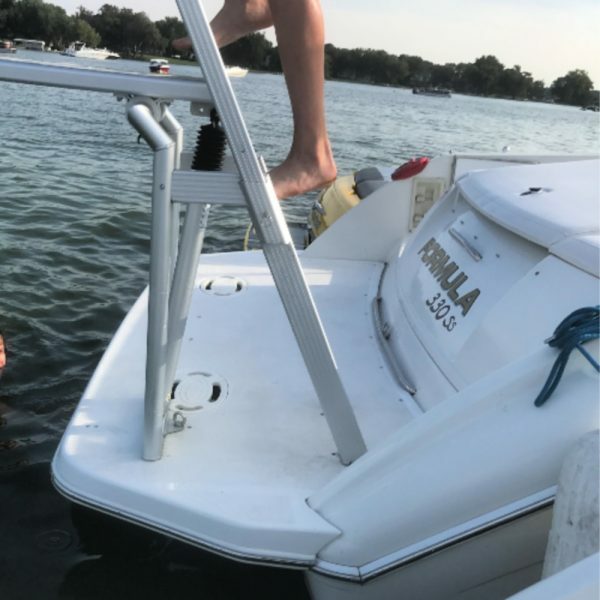 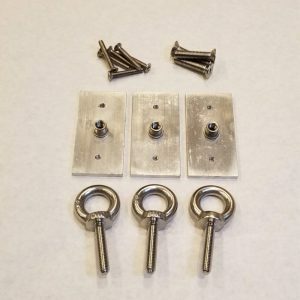 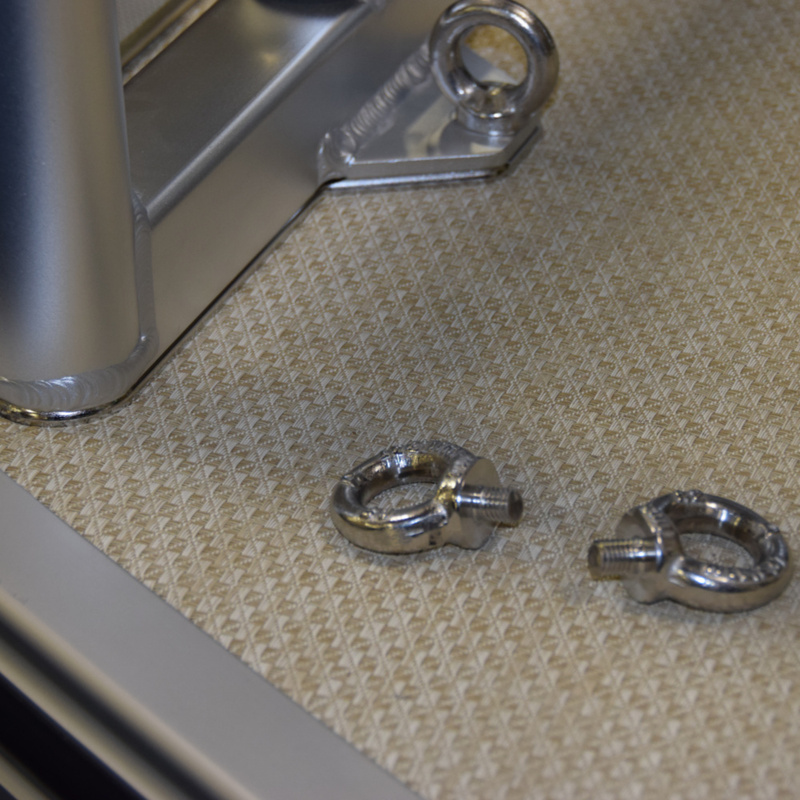 The LilliPad Surface Mounting Kit consists of three stainless steel plates designed with a matching footprint of the diving board frame and ladder, nine 6mm x 40mm stainless steel screws and three 10mm x 40mm stainless steel eye bolts. 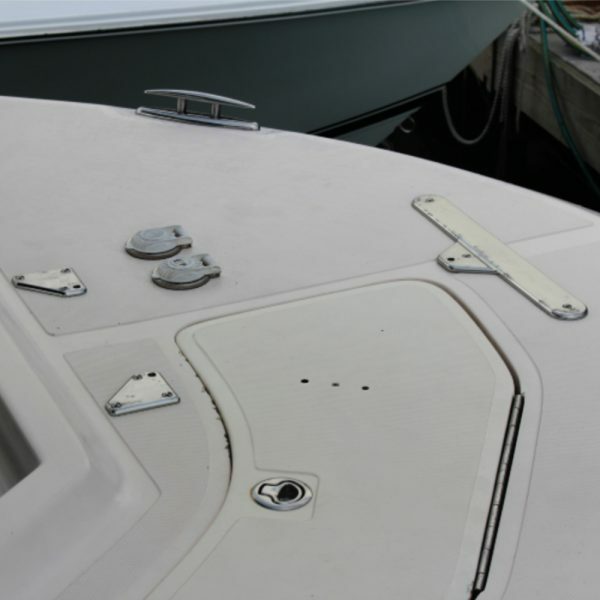 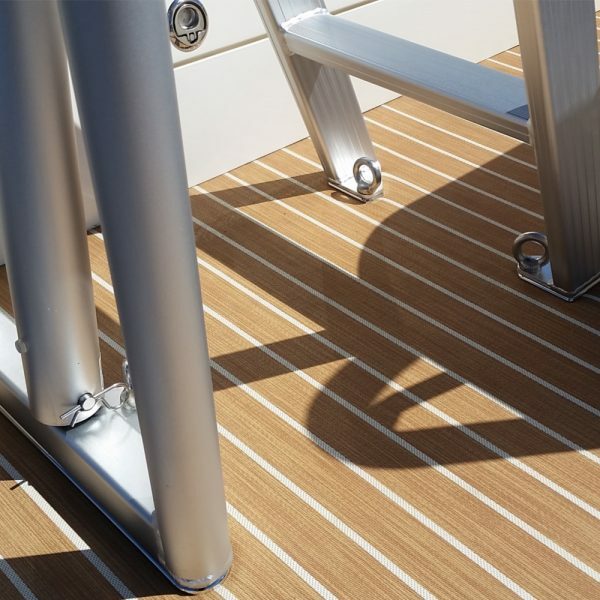 This kit is designed for use on nearly all boats with a solid and flat surface for installation including fiberglass applications. See Owners Manual for approved mounting instructions.